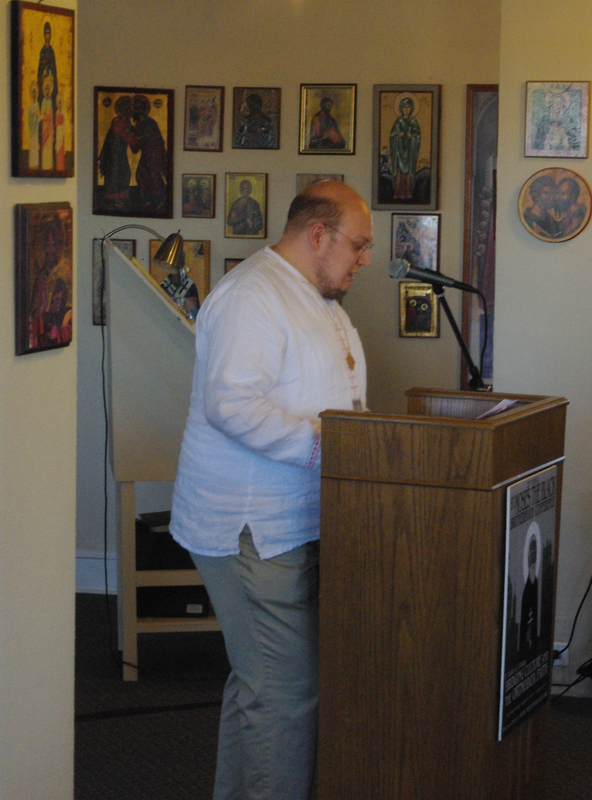 One of the things that drew me to Orthodox Christianity is monasticism. These people were,and still remain, unique examples of what it is to follow Jesus. They attend church services, at least, two or three times a day. They pray as they work. 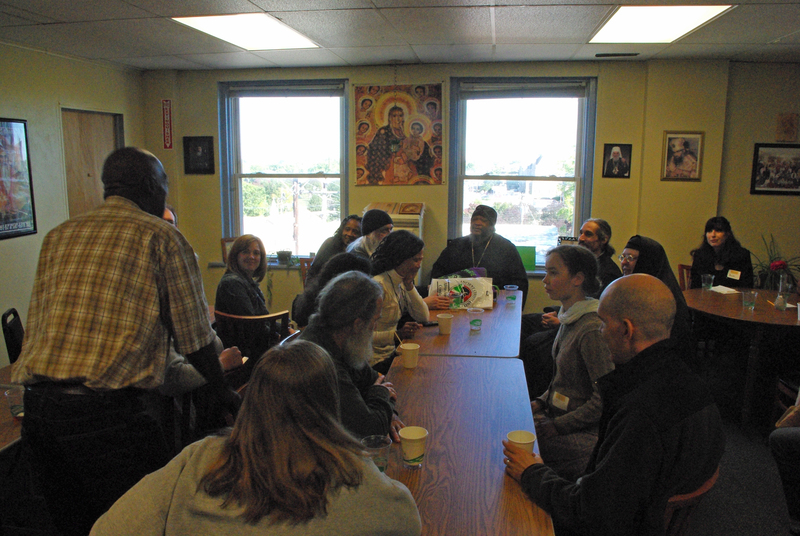 Their meal time is spent with the words of scriptures and stories of saints. Except for liturgical vestments, everyone is dressed in the same, simple garments. Monks and nuns renounce not only sinful pursuits. They also have rejected respectable careers, loving marriages, decent hobbies, and other things we consider good in the worldly kingdom so that they can focus solely on the kingdom of heaven. Of course, Jesus never called everyone to this sort of lifestyle. But, as I journey in the faith, I see tremendous value in striving to emulate those who have. Consider how many of us are addicted to pursuing entertainment by TV. While some programs may be educational and it is good to keep abreast of things newsworthy (not everything in the news is worthy of attention), too much of what is on television is based on sensuality and ego-driven self-help. Refraining from television during fasting periods and replacing that time with prayer, spiritual reading, or helping people in need does our souls a far greater good than following empty comedies and meaningless dramas. The monastic lays aside personal gain and follows the instruction of a seasoned and wise elder. Our society is deeply committed to individualism and self confidence. While everyone should gain some skills in their various occupations, no one ever succeeds in life by themselves. We all need to be taught, trained, and guided. The ability to be an effective father or mother in the faith is given by God through much patience, effort, and a humble spirit. 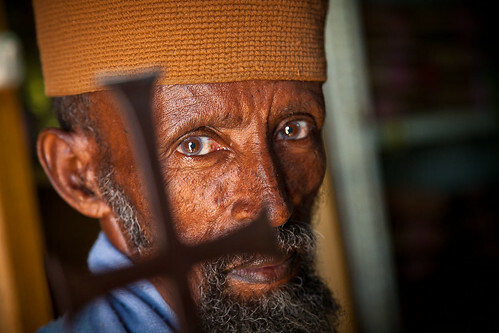 This man has fasted and prayed as much as any of the holy men of ancient Christianity. But, he uses a language that puts himself at the same level as the tax-collector in our Lord’s parable. Macarius also is said to have not considered himself a true monk and that there were others who have pursued the holy life with greater fervor than himself. The mind of a monastic is always to consider one’s self as not yet attaining righteousness while doing everything to seek it. This humble mind frame keeps us from thinking too much of ourselves and from complacency in the pursuit of God. Let us not forget that God gives grace to the humble. 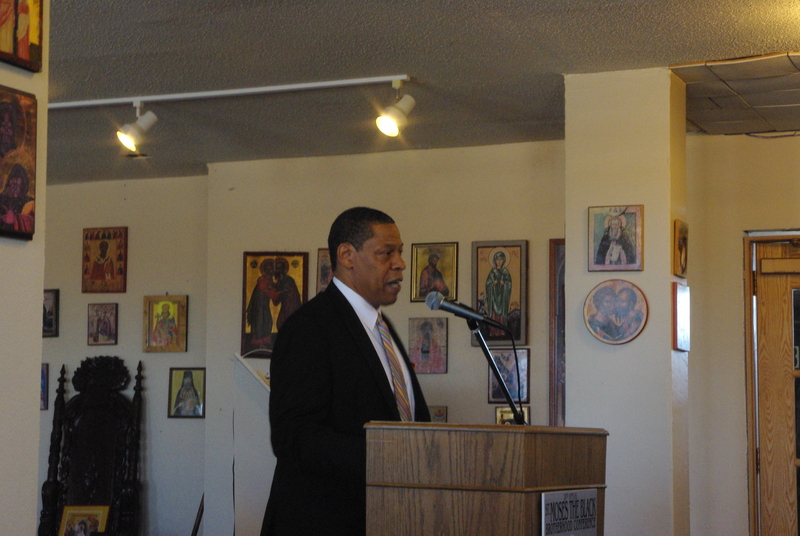 During lunch, we had round table discussion about race and the church. 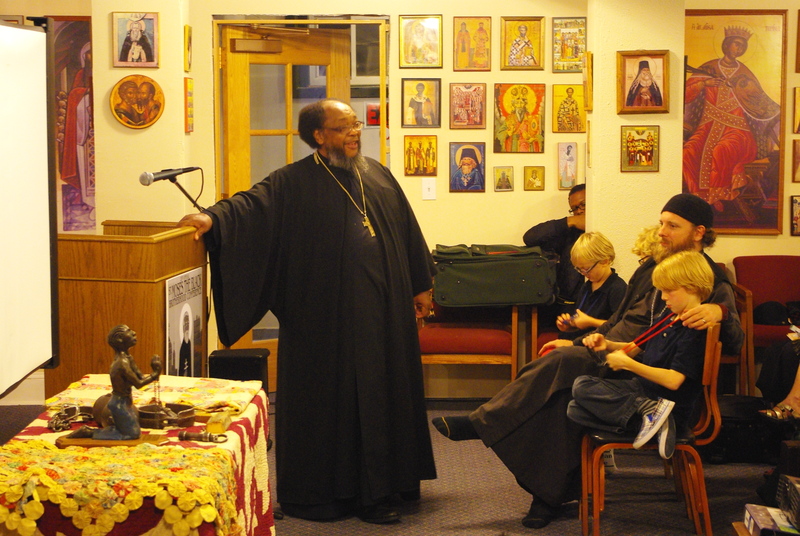 Sure enough, there are some Orthodox congregations who are not receptive to black converts. One of the things that has crippled the spread of the Orthodox church was the various ethnic groups kept their faith closed and did not evangelize to others of any race. Except for St. Herman and the other Russian missionaries to Alaska in the 18th century, the church made no major effort to win converts. 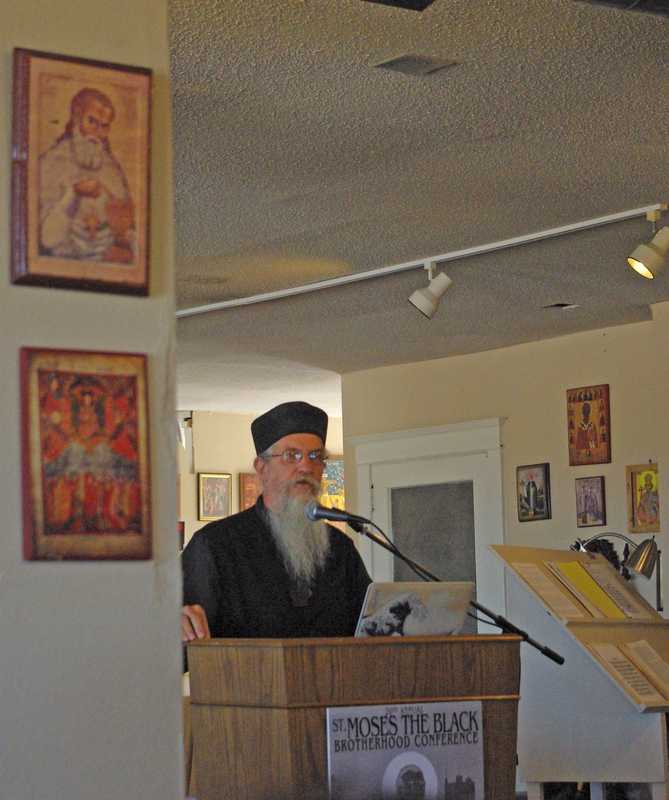 In 1987, the Antiochians threw the doors of Orthodoxy open to all who sought the faith. But because of traditional ethnic bonds and good old American racism, there are still some Orthodox churches that keep their doors closed to African-Americas who may want to convert. Thank God this has not been my experience. 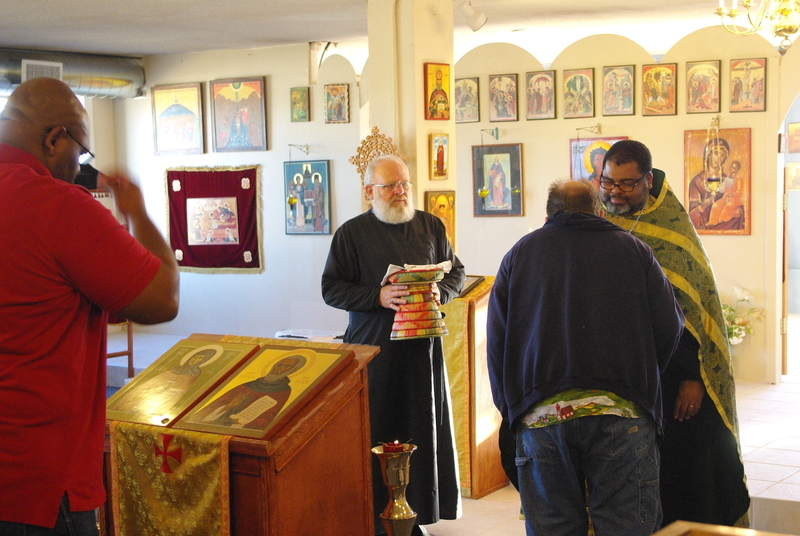 There is not one Orthodox church that I have visited that I was not welcomed. The church I attend (when I can) is in a city with a reputation for being bigoted. But, the members are from all over Hampton Roads and various ethnic backgrounds. To me, the racial divide works both ways. I think black people need to open their minds and hearts and see that the Holy Spirit is more than just clapping and shouting in church. We need to learn that Africans originally practiced liturgical worship. Even today when Ethiopians immigrate here, they don’t go to our AME, Baptist, COGIC, or any other African-American congregation. They go to any Orthodox church they can find. And if there is enough of them in a general area to have a congregation, they form a parish. Perhaps one of the most compelling people I have met and heard is Rodney Knott. Bro. (Dortheos) Knott directs ReEngage Services, a mentoring program to encourage men to be responsible fathers and contributors to society. He has a sense of compassion and toughness that seems to be very effective. I was blessed to be in the small group discussion with him and Fr. Deacon Nathaniel. 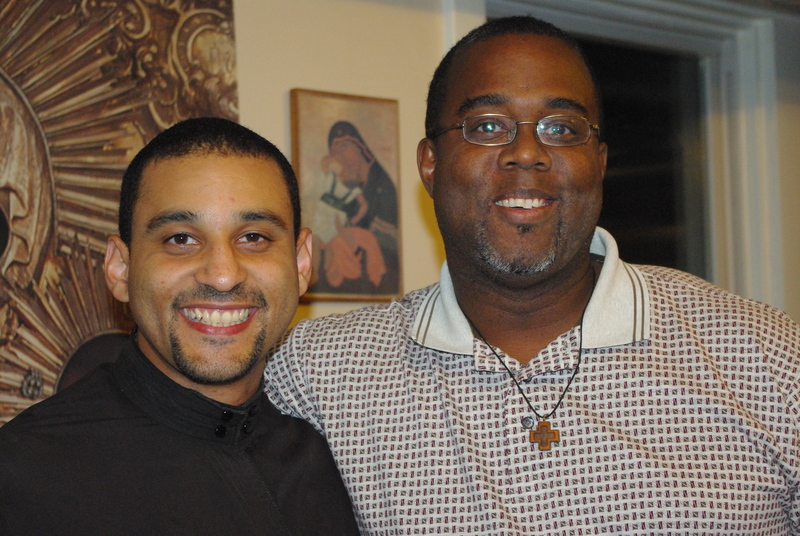 I’d love to have those two brothers come to King William and evangelize for a week. I think they could convert almost half of the men in the county to the Orthodox Church. Again my health was not up to par, which reeked havoc on my attention span. What I did hear of Mother Katherine Weston’s talk on “Loneliness” was very interesting. I had no idea there was no such word until the 1800’s and the industrial revolution. One thing I did write down that is worth thinking about in this time of social media meanness and isolation that she said, “Real conversation can be messy.” No doubt, there can be no true community nor church unless we are willing to have compassionate dialog. Actually, I was impressed with the nuns who attended the conference. These women have rejected the world’s standards of beauty of clothing, make-up, and all to live in humble simplicity. There was one younger sister, I guess mid-20’s, who could probably attract a nice young man. Yet, she has shunned human marriage for a divine, spiritual matrimony to God and the church. 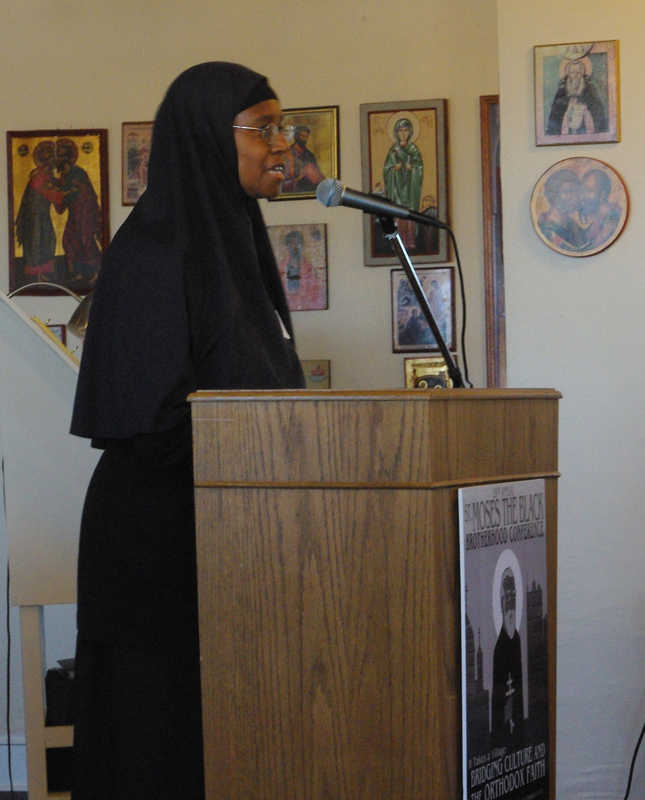 There is nothing like being in the presence of women monastics. They are full of wisdom and compassion. I had been looking forward to hearing and meeting Sub Deacon Paul Abernathy. Had he been Protestant, Paul could have started his own non-denominational church and made himself a bishop. He could be a mega-church minister with a little time and effort. 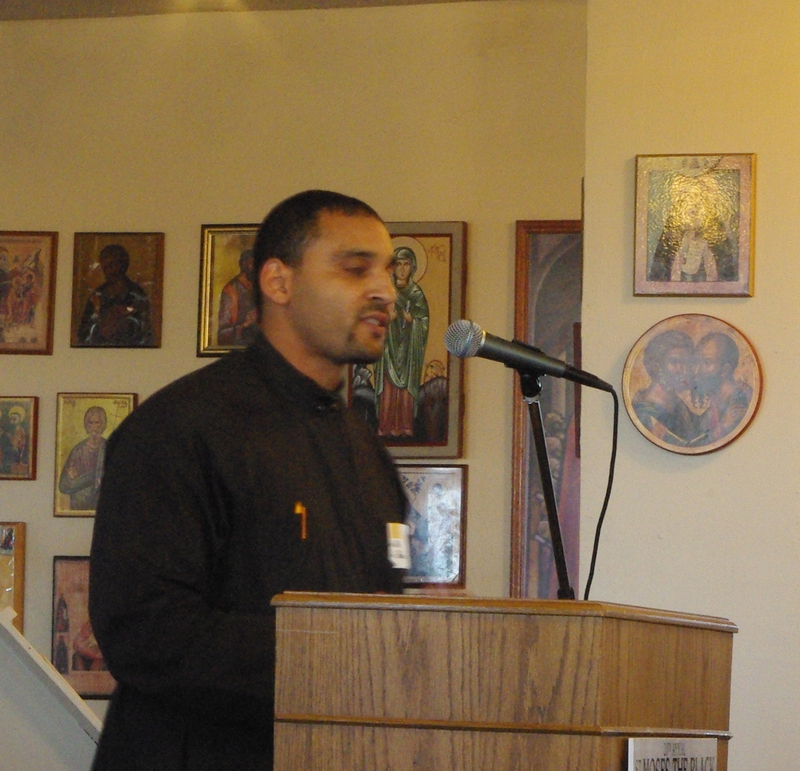 Instead, this brother is in the Hill District of Pittsburgh “Building Community in Profound Brokenness.” I liked what he said about not cutting ourselves away from redemptive suffering. When we run from it, the result is fear and self hate. When we accept it, we become one with the suffering people we serve. I ate with him and Fr. Jerome. I will share notes on that conversation in my final article. Dr. Carla Thomas is a wonderful combination of brilliance and compassion. 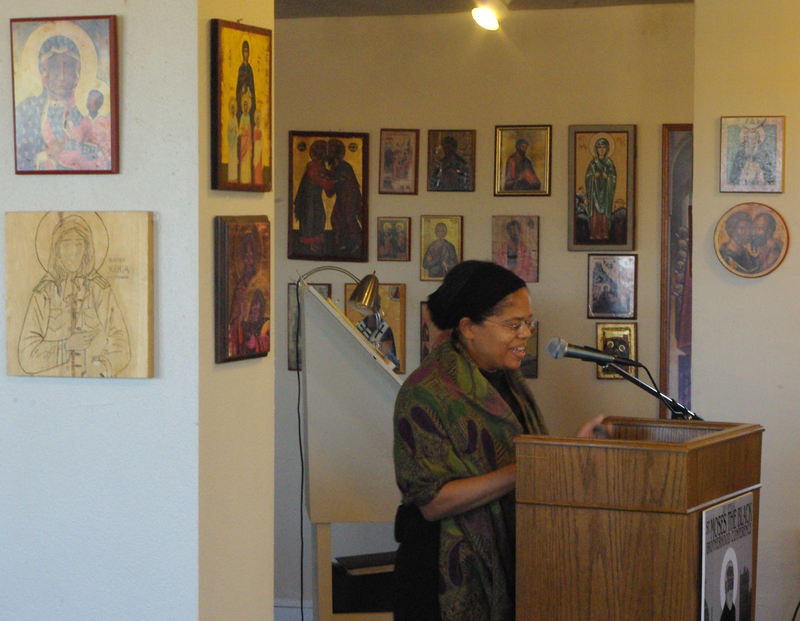 While I am not qualified to open and run a free clinic as she did in a small town in Alabama, she does present a model for building an Orthodox community anywhere. Meet a practical need of the people and make the prayers a part of what is done. 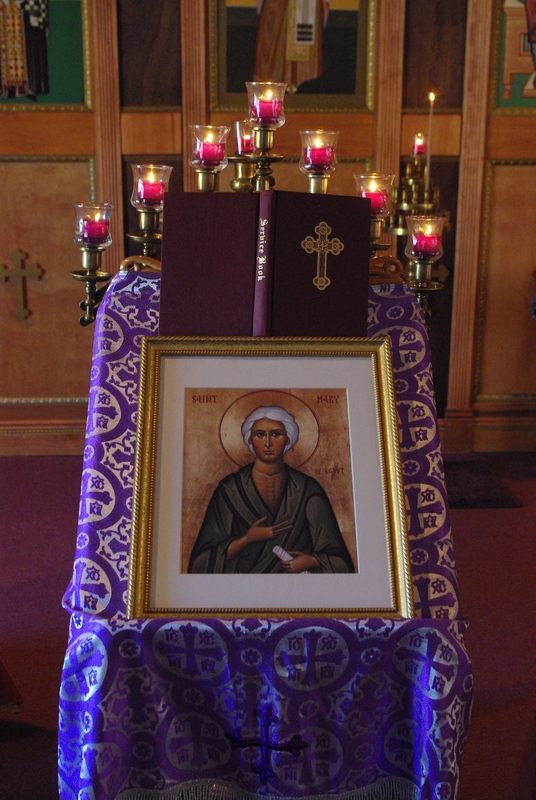 From her clinic, an Orthodox Church was organized. Indeed, something similar is happening to Paul in Pittsburgh. The goal is to bridge the faith with the needs of people. Fr. Moses Berry uses history as a bridge. His museum in the heart of Ozark country and traveling lectures about slavery and black communities during Jim Crow helps to break down the barriers between the races. We tend to put up stereotypes and avoid facts. Not Fr. Moses. He has slave neck irons to show the pain of the brutal system and quilts that depict the fact that we are a people who (by the grace of God) constantly create something out of nothing. I like his example. We should talk with one another about the past in love and not accusation. I am no night owl. So again, I got a ride back with Mrs. Mathews and the boys. I hope someone recorded the “Circle Wrap Up” and will post it on You Tube or Ancient Faith Radio.